House No. 696, St.2, Kratie Town, Kratie Province, Kingdom of Cambodia., Kratie, Cambodia. 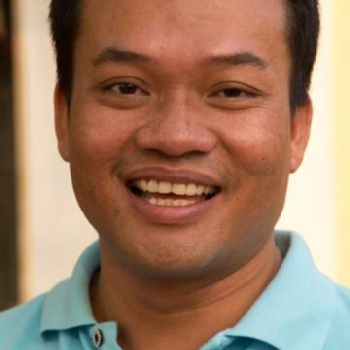 The Cambodian Rural Development Team (CRDT) is a local development NGO which aims to lift communities out of poverty in support of conservation through participatory community-based approaches. All of our initiatives are aimed at improving sustainable livelihoods and the well-being of rural subsistence farmers including marginalized indigenous people. Since 2001, CRDT has been working to improve and diversify sustainable agriculture to both lift people out of poverty and protect natural resources from over-exploitation. Since 2006, CRDT has developed its social enterprise program aiming to both fundraise for the organization to be gradually self-reliant while promoting life-skills and enterprise-based development for its target beneficiaries. Since 2004, CRDT has delivered community and rural development to over 7,000 families in support of conservation of the biodiversity and critically endangered Mekong River Irrawaddy Dolphins in Kratie and Stung Treng, and the protection of tropical forest biodiversity in Mondulkiri. CRDT was officially registered with the Ministry of Interior as a local NGO in 2005 and the original founding members of the organization are still involved in its management and governance. CRDT today is a rural livelihood and environment focused organization implementing various projects on environmentally appropriate agricultural development, increasing food security, supporting market linkages and income generation, environmental education, climate change adaptation, water and sanitation, renewable energy technologies, eco-tourism, micro-credit and community empowerment. We at Cambodian Rural Development Team (CRDT) would love to hear from you!